What Could These Strange Creatures Actually Be? From possible dinosaur sightings to a monster spotted in a South American cave, we count 10 mysterious creatures caught on camera. This video, recorded in 2015 is actually one of the strangest I have ever seen. It was reportedly captured somewhere in Russia and appears to have been filmed on security camera, however the details surrounding the video are sketchy at best. The two men look as though they are dressed in military uniforms and are standing guard at some sort of base or instillation located close to a large body of water. Shortly into the video, some sort of creature lunges at the man on the right of screen and attempts to pull him into the water. The second man quickly rushes to his aid but is unable to help and runs into the base. The soldier is completely dragged off screen by the beast. Seconds go by before his friend returns. When he does, he appears to be making a phone call as he frantically searches for his lost comrade. He suddenly spots something coming towards him as he makes a dash for the safety of the base. A split second later, something very large flies through the door. If you slow the footage down, it’s difficult to make out exactly what it is but it’s probably either the creature or the man that was dragged into the water. A second or two pass and a tall, figure emerges from the door. 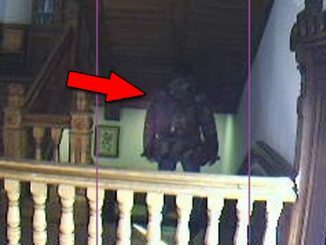 The figure is dressed in a long dark robe and can be seen pulling a hood over their head as they calmly leave the scene. What on Earth is going on in this clip? What type of beast has the strength to pull a fully grown man into the water and then who or what is the dark figure seen leaving afterwards? Is it possible that the creature was some sort of mysterious shape-shifter? 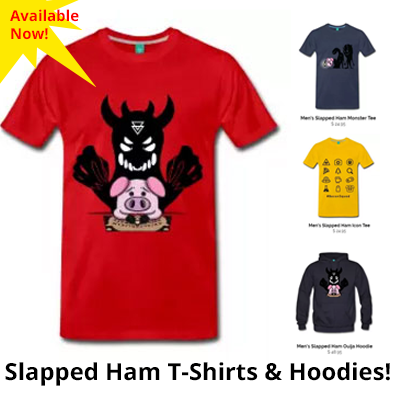 Let us know what you think in the comments section below. 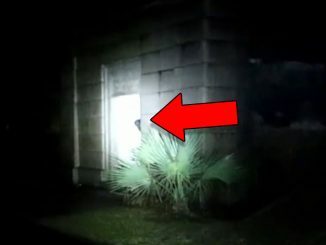 This video, shot in an unknown location appears to show some sort of creature that has the ability to levitate. 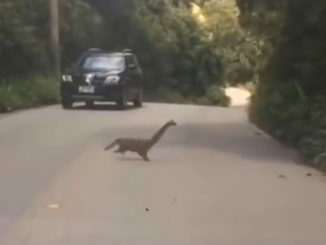 While the footage quality is poor, you can make out that the animal is about 2 feet tall. It seems to walk on it’s hind legs and partly resembles a penguin. 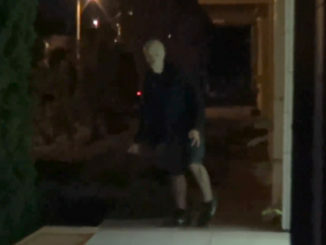 Shortly into the video, the creature suddenly starts floating effortlessly into the air. It elevates above the camera for a brief moment before re-entering the frame. As it does, it slowly hovers back to the ground and then continues walking along the road. The creature can’t be a penguin, as they are flightless and the way it seems to hover through the air is unlike any other bird I have ever seen. Whatever it is, it sure makes for a very strange video. This video begins with a man sitting in his car about to record a message on his camera. Just as he begins, he becomes distracted by something out in the parking lot. It’s dark and stormy outside and you can just make out a strange shape lurking in the shadows as the rain runs down the car window. 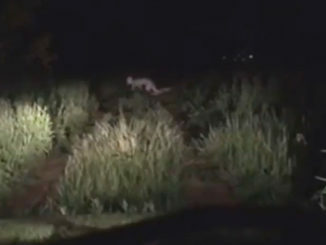 Then suddenly, some sort of creature runs towards the vehicle. The animal moves fast, running on all fours. It enters the light for a split second as it makes a dash for the car. If you slow the footage down you can see that the creature appears to move similarly to a chimpanzee. It can be heard leaping onto the vehicle as it disappears from view, hitting with such force the camera shakes. Viewers of the footage were quick to offer their opinions about what they thought the creature might actually be. Some claimed that by the way it moved, it could actually be a werewolf. While the beast was never formerly identified, the mystery of what ever attacked this man may never be solved. 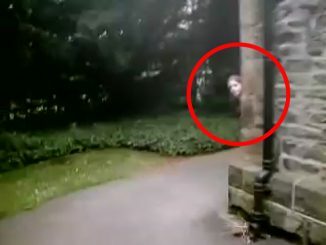 This video, captured in an unknown location shows some sort of mysterious creature hiding behind a tree. As the man with the camera approaches the tree the creature can be seen for a brief second peering out from between the branches. When the footage first surfaced, many noted that the creature looked very much like an alien grey. It has a giant head, thin, gaunt looking body and large, black eyes. While there is little information available about the clip, it was obviously captured in some sort of wooded area, possibly a forest or even a park. Could it be possible that this mysterious creature is actually an alien from another world? If so, why does it appear to be all alone in the woods at night? 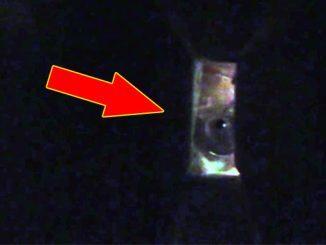 This bizarre footage was captured by a research vessel at an ocean depth of around 3700 feet. The camera begins to focus on a black, circular object as it drifts along with the ocean currents. 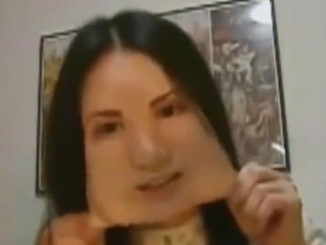 When the camera zooms in for a closer inspection, the object appears to be flat and lifeless. Suddenly, the object appears to shrink then rapidly expand into something that looks similar to a squid or even a cuttlefish. In less than a second, the creature has more than quadrupled in size. The camera zooms in again as multi-colored lights begin emanating from the mouth of the beast. It drifts by for a few more seconds before propelling out of view. When the video was first released, some viewers even suggested that the mysterious creature was some sort of alien. However, with so much of the ocean still unexplored, who knows what bizarre beasts are lurking in its depths just waiting to be discovered.